The property has a total of approximately 320 m² of living space and offers in all directions panoramic landscape views. Especially in the evening light you can enjoy the view of the nearby monastery of San Salvador in Felanitx. The ground floor offers living room with fireplace, dining area, kitchen and utility room as well as one bedroom and bathroom. The upper floor consists of master suite with bathroom and dressing room, two further bedrooms, both of them with en suite bath and also access to a private balcony. The large covered terrace also offers a beautiful view of the varied landscape. The property has its own well and Gesa electricity. At the present time the building design could still be influenced. In addition to the 60 m² swimming pool there is also a garage belonging to this property. 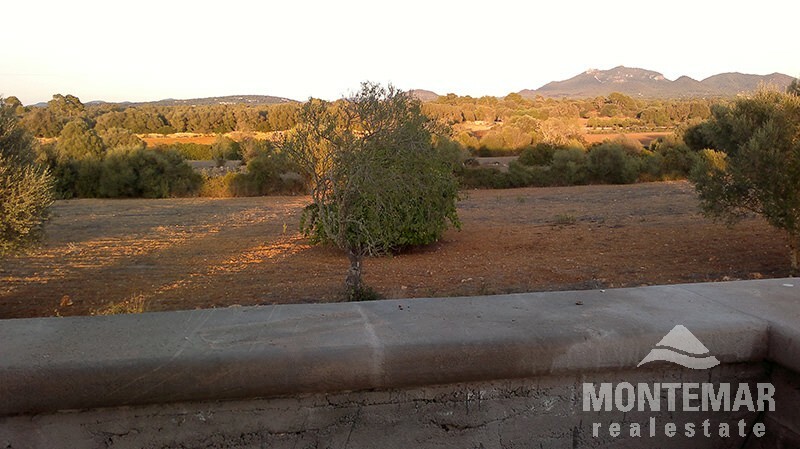 The Finca is situated on a plot of land of approx. 16,600 m² in a quiet location close to Felanitx. The sea can be reached in about 15-20 minutes by car. Felanitx with a variety of shops is about a 5 minute drive away from the house.